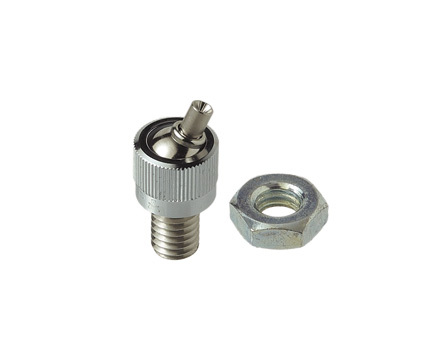 BS26 is a knurled body with a 3/8-16 male thread, permitting installations into concrete ceilings (using a 3/8-16 threaded nut, anchor or other feature). It can also be installed into steel structure by tapping the substrate with 3/8-16 threads or by using the supplied nut. The BS26 allows for suspending up to 25 degrees off axis.